Welcome to East Coast Auto Salvage! 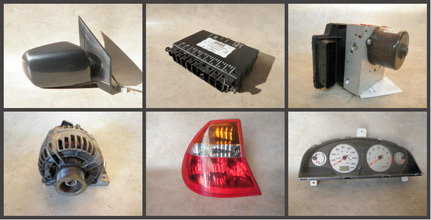 We are Connecticut’s best source for quality recycled auto parts. We specialize in late model cars and light trucks, both foreign and domestic. All of our parts are inspected, tested and covered by our standard six month warranty. We deliver to garages and body shops throughout southern New England. We have a retail store open to the public and we ship our parts nationwide. We are a second generation family owned and operated salvage yard and our reputation is behind every sale. Call 800-231-9121 first when you need quality parts and service!